AMD emerged as a serious threat to Intel in servers more than a decade ago, but after a series of missteps and bad chips, the company's server business is hanging on by a thread. Now, AMD is rebooting its server chip business with the upcoming Zen CPU, which will also be used in PCs. AMD is getting creative with Zen and considering merging the CPU with a high-performance GPU to create a mega-chip for high-performance tasks. "It's fair to say we do believe we can combine a high-performance CPU with the high-performance GPU," AMD CEO Lisa Su said during an earnings call on Thursday. Su's comment was in response to a question on whether AMD would ultimately combine its Zen CPU with a GPU based on the upcoming Vega architecture into one big chip for enterprise servers and supercomputing. "Obviously, it'll come in time," Su said. "It's an area where combining the two technologies makes a lot of sense." It wouldn't be the first time AMD has built a mega-chip. It has already combined full-featured CPUs and GPUs on made-to-order chips for the Xbox One and PlayStation 4 gaming consoles. The 5-billion transistor Xbox One chip uses an eight-core AMD CPU code-named Jaguar and a Radeon graphics processor. GPUs are being used as co-processors in some of the world's fastest computers for tasks like weather modeling, economic forecasting, and weapons design. They are also used by Google in data centers for deep learning tasks. Nvidia has cornered the supercomputing space while AMD has struggled with its FirePro high-performance GPUs. But AMD's integrated mega-chip would be unique. Nvidia has high-performance GPUs but lacks a CPU. Intel's CPUs dominate servers, but it does not offer a GPU. Some supercomputers combine Nvidia GPUs with CPUs from Intel or AMD. Intel offers a supercomputing mega-chip called Xeon Phi 7290 with 72 cores as a primary chip, but it does not integrate a GPU. The Xeon Phi has Atom CPUs and vector processors to carry out complex calculations. A new mega-chip would be a bold gamble for AMD. A single CPU and GPU chip could be priced competitively, and it would reduce the need for companies to buy separate chips. 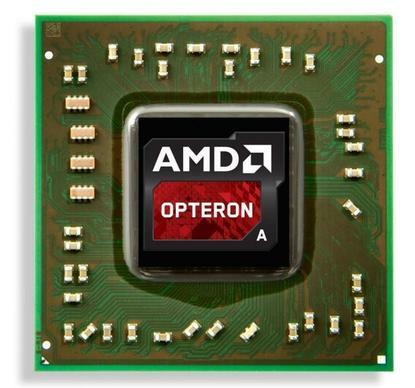 AMD became a major player in servers with the introduction of 64-bit chips in 2003 and dual-core chips shortly after, but delays and the failure of chips based on the Bulldozer core ultimately doomed the company's server efforts. Believing ARM-based chips would be the future of servers, AMD also inexplicably abandoned the development of x86 server chips. But ARM chips haven't caught on in servers, and Intel cashed in on AMD's missteps. Intel has cornered more than 90 percent of the server chip market. AMD's server plans have returned to the x86 architecture, and Zen is generating excitement. The first Zen-based servers will be available in the first half of next year from multiple vendors, Su said. The chips are being tested in dual-socket systems by AMD and server makers, and the results are encouraging, Su said. The company will make server chips for select markets instead of pursuing all segments, Su said. Unlike Intel, AMD isn't rich on resources and is initially focusing on what it believes will be the most profitable markets.